During finals, a meal of Pieduck’s pizza and red wine was a quick and yummy dinner but you definitely can’t live on that. 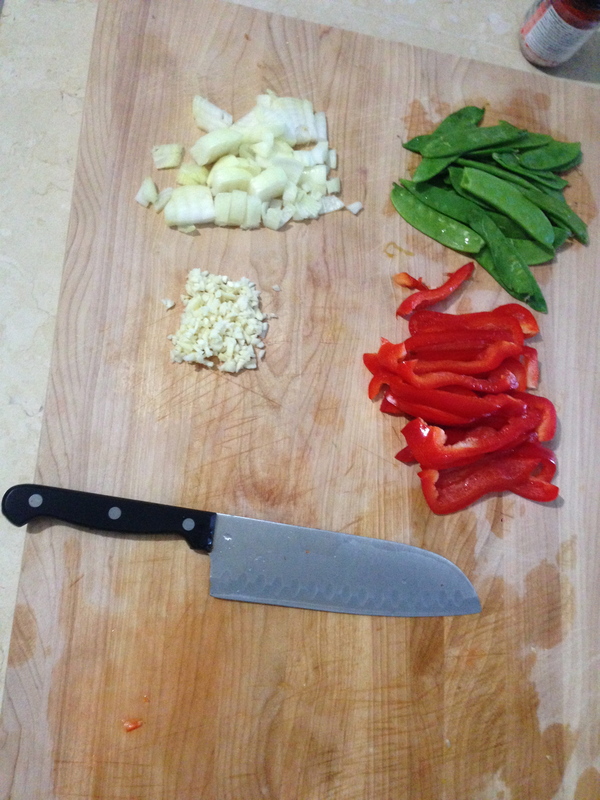 Thankfully, during my spring break, I had plenty of time to get back into cooking (my happy place). So, with some extra time on my hands between moving I enjoyed strolling through Whole Foods and getting inspired. 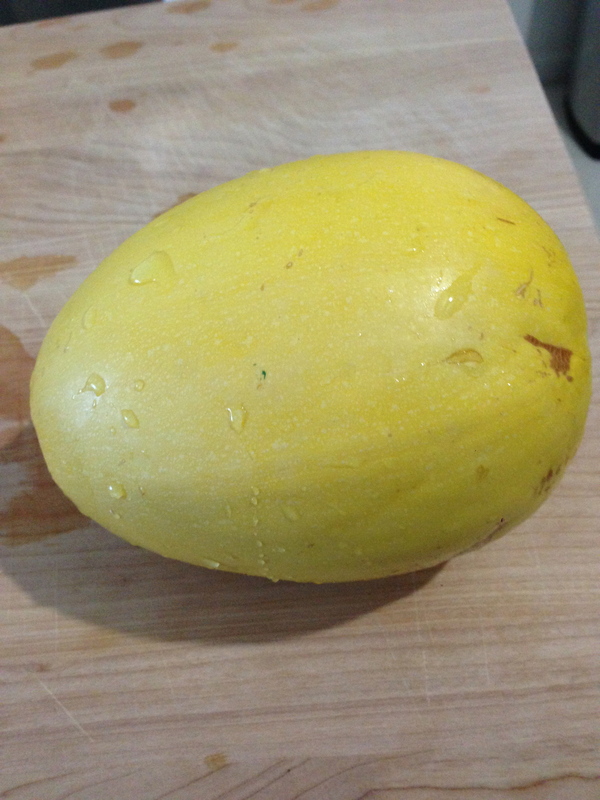 I came across spaghetti squash and immediately bought it. 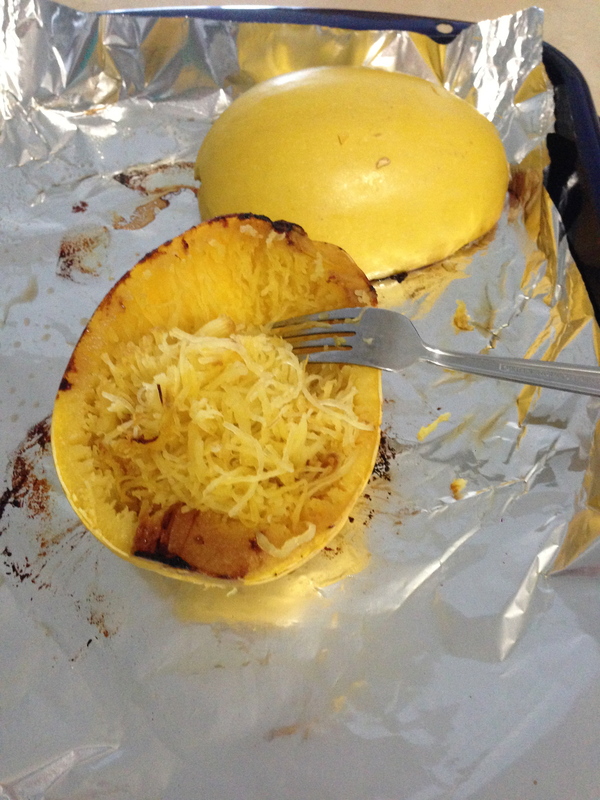 I had seen countless pins on Pinterest of spaghetti squash and decided to finally make it. So what’s next? Naturally, I Googled it and just followed the first link I saw. Seemed pretty easy, you just have to cut it in half lengthwise, scrape out the seeds and pulp, place it with the rinds (outer part) up on a baking pan and bake it at 375 degrees for 30-40 minutes. First of all, it is very easy to make BUT get some help cutting it in half! It’s really difficult and hard to cut through; I summoned the bf’s help and he was able to cut it. 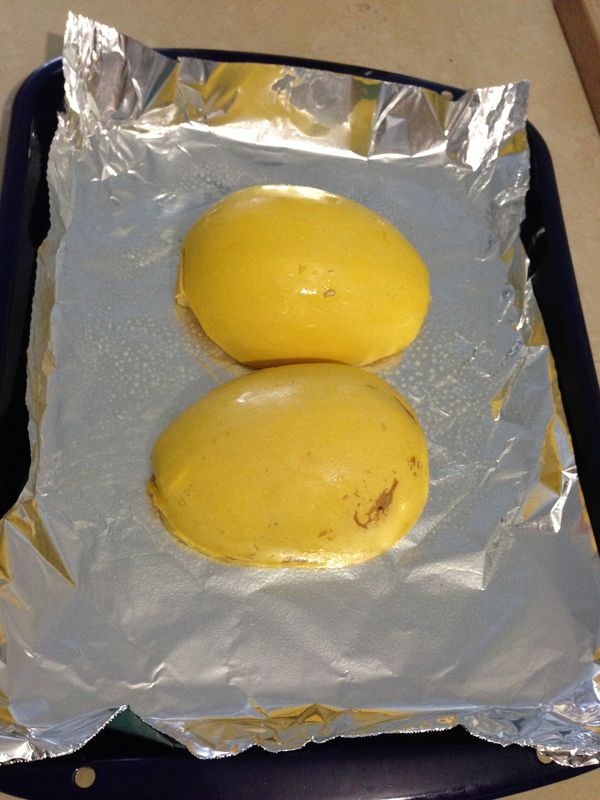 Also, I sprayed a little bit of Pam on the aluminum foil before placing the squash on top of it. When it’s done, let it cool a bit before handling. Then, simply take a fork and scrape out the squash little by little; it comes out stringy just like spaghetti! 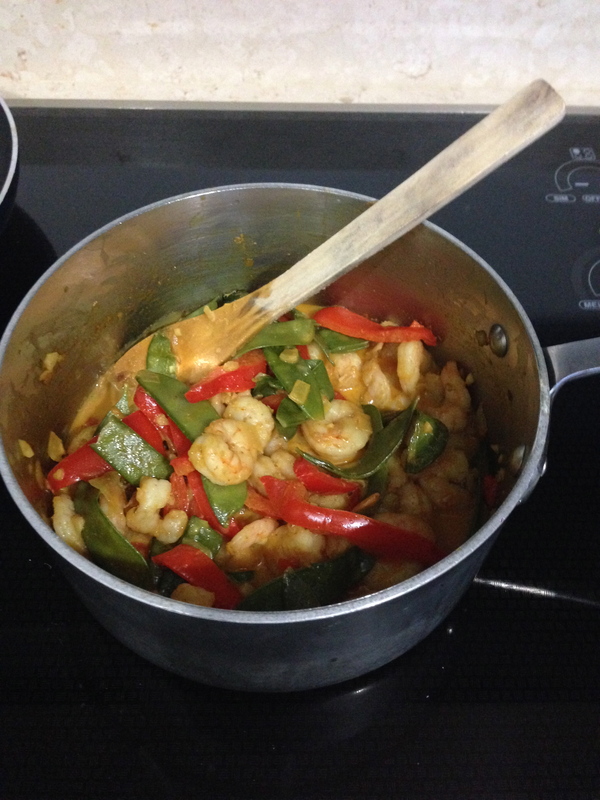 I served it with shrimp curry and it turned out to be a great combination!